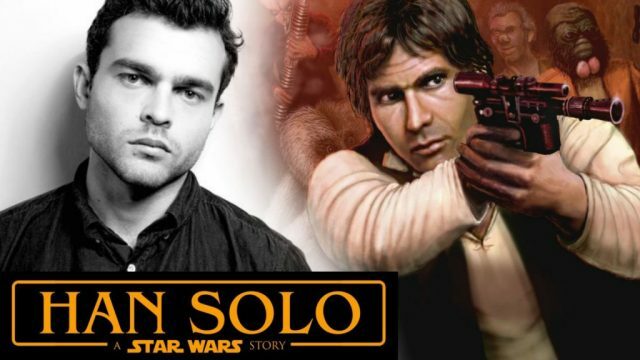 It’s been a bit of a tumultuous week for Disney’s Han Solo spinoff. After losing directors Phil Lord and Chris Miller (who were later replaced by Ron Howard), it was revealed that there were some major behind the scenes issues going on with the project. Stories of creative clashes between all parties involved surfaced and painted a bit of a worrying picture. Granted, the studio’s pulled through this sort of thing before (remember the Rogue One reshoots? ), but there’s still reason to be concerned here. At least, that’s how the fans feel. If you ask Disney CEO Bob Iger though, there’s absolutely nothing to worry about. When questioned on if Han Solo could be saved, he told TMZ the following: “Yes, of course. Ron Howard’s in charge. Yes, of course.” The outlet then asked if there’s anything to be concerned about, and the studio exec continued on to say that everything will be fine. “First of all, we have a great script, a great cast and a great director. It’ll be fine. (I’m) very excited,” said Iger. That’s a diplomatic answer if there ever was one, and it’s not like the CEO would ever bad mouth the project anyways, but it’s always nice to get some reassurance. Even with Howard – a true Hollywood veteran – on board, there’s still a lot of negative energy surrounding the spinoff at the moment, and unfortunately, that’ll probably remain until we get the first bit of footage and can see for ourselves what Disney’s put together here. In the meantime, while we wait for that to arrive, we’ll continue to remain optimistic that Han Solo will be another thrilling spinoff for the franchise, one that’ll be able to move past its troubled production and present a compelling story for the iconic character.